Graz continues to be a solid provider of decent music, bands and club nights. The KIM record label has further added fuel to the fire by releasing a brand new sampler called Spotting I. 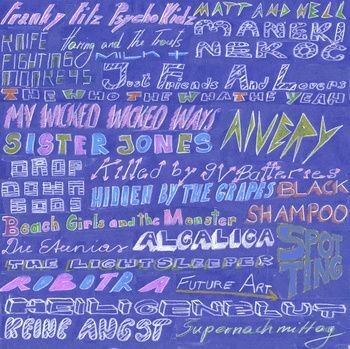 A collection of songs from bands which played at the Spotting club night in the postgarage in Graz over the last year. The sampler is crammed full of 24 top songs from bands such as Beach Girls and the Monster, Just Friends and Lovers, Aivery, Black Shampoo and many more. The sampler has been made available for free on Bandcamp, but if you want to support then dig into your pockets for some small change.